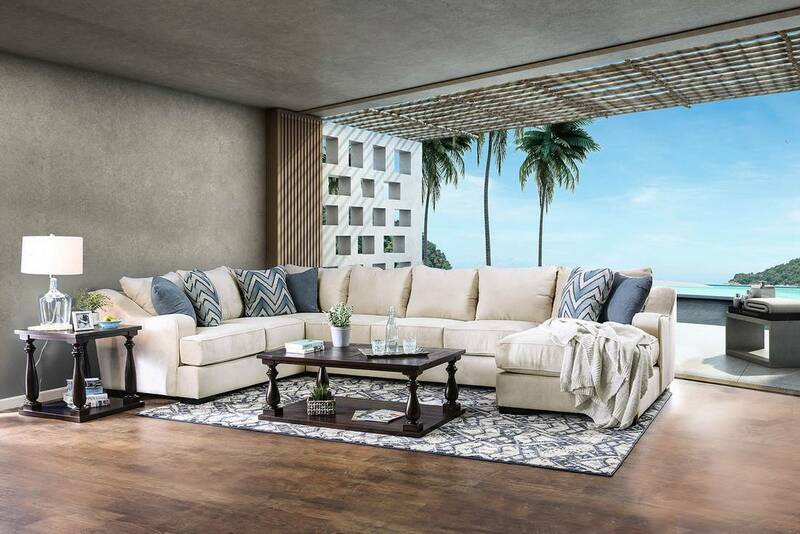 This sectional sofa’s coastal color palette is enough to soothe your stress away. 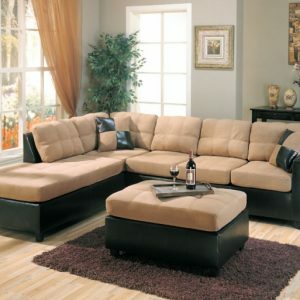 Adding on to this sofa’s aesthetic appeal are soft padded seat cushions and fitted back pillows. 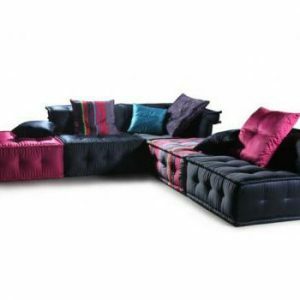 The sloped arms and bracket feet contribute to the relaxed appeal. Turn your living room into a beach retreat with this alluring sofa.